Have we forgotten the economic significance of the welfare system? Peter Fisher, Treasury under-secretary in George W. Bush’s administration, once memorably described the US government as “a gigantic insurance company (with a sideline business in national defense and homeland security),” a characterisation that could be applied to most high-income countries. 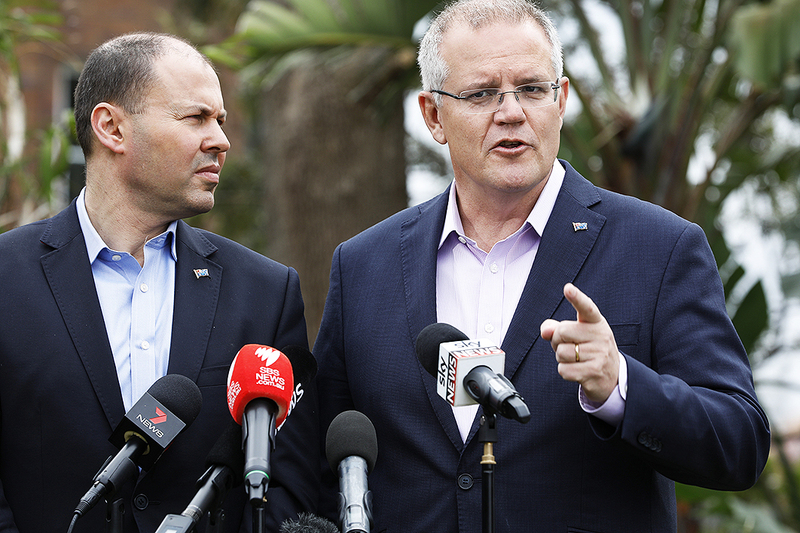 In Australia, spending on social security and welfare — “insurance,” as Fisher would say — accounts for more than a third of Commonwealth federal government spending. Add in healthcare and it rises to more than 50 per cent of total Commonwealth expenditure, about nine times the amount spent on defence. During any fortnight, more than five million Australians, or roughly a quarter of the adult population, receive an income-tested social security payment — an age pension, a disability support pension, Newstart, a carer’s payment, a parenting payment or one of seven other categories of income support. Around another 855,000 families have their income supplemented by family tax benefits, and 900,000 or so families, many of them not receiving social security benefits or other family payments, are assisted with childcare costs. As we look over longer periods, receiving social security payments becomes ever more common. According to the latest Household, Income and Labour Dynamics in Australia survey, around 70 per cent of working-age households include someone who received an income support payment at some point between 2001 and 2015 (not including those receiving an age pension or family payments). 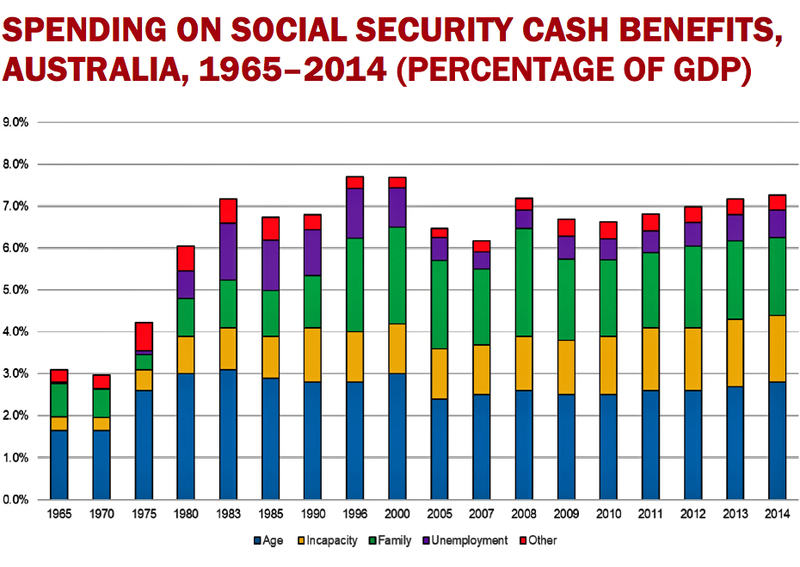 In these terms, the social security system is among the core institutions of contemporary Australian society. It can also be regarded as one of the main levers not just of social policy but also of economic policy. Australian governments have used the social security system to stimulate household spending during recessions or to avoid recessions — as at the time of the global financial crisis — and have adjusted the social security system to assist longer-term economic restructuring. Other links between social policies and the economy are real, albeit more difficult to measure. The International Monetary Fund has shown that higher inequality is bad for growth, and we know that social spending helps individuals to deal with life-course events — having children, retiring, becoming frail — and with the risk of unemployment, adverse health events and family break-up, all of which a majority of families face at some time. Social policy is inherently controversial. But public policy-makers and commentators need at least to understand its evolution, and how changes in direction came about, if we are to meet the challenges of the future. So what have been the trends in social security spending? As the chart shows, spending on cash benefits grew dramatically between 1965 and 1983, and has stayed roughly at that proportion of GDP ever since. Spending increased from around 3 per cent to 4 per cent of GDP in the early 1970s — the period mostly covered by the Whitlam government — but the great expansion was mainly under the Fraser government, when spending rose to 7.2 per cent of GDP. Source: Calculated from OECD Social Expenditure database, and Whiteford and Angenent (2002). The OECD data are adjusted for consistency over time by excluding spending on public service retirement pensions (added to the database in 1990) and payments from workers’ compensation schemes (added in 1995). Of course, that increase was partly the result of policies the Fraser government inherited from the previous government, including significant increases in pension and benefit rates and new payments such as the supporting parent’s benefit. But its own initiatives, such as the conversion of tax rebates for children into family allowances, contributed too. The stagflation of the period helped drive the trend, with unemployment rising in the months leading up to the 1983 election and the election of the Hawke government. What is perhaps most striking is the relative stability of social security spending since then. 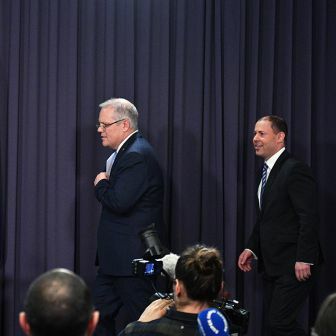 At the start of the Hawke government, the figure was 7.2 per cent of GDP; thirty years later, at the end of the Rudd–Gillard–Rudd government, it was the same percentage. 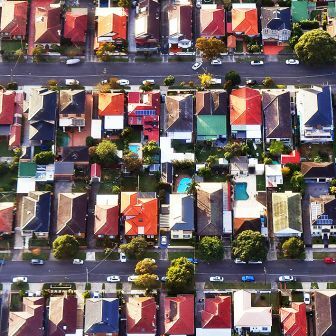 It had risen as high as 7.9 per cent when the economy was recovering from the deep recession of the 1990s, but only fell to 6.2 per cent in 2007, the high point of the greatest economic boom in Australia’s modern history. In some respects, the stability of spending on age pensions — the costliest cash benefit in Australia and most other OECD countries — is even more striking, peaking at 3.1 per cent of GDP in 1983 and remaining below that level over the subsequent three decades. Spending on age pensions is now scarcely different from its level in 1975. This is puzzling in many ways. The single rate of an age pension when the Whitlam government came into office was around $10,800 (in 2018 terms), and it was $13,200 when it left office, a substantial increase of around 22 per cent. In 2018 it is around $23,300, with nearly half of the difference being a result of the Rudd government’s pension increase in 2009. The share of the population aged sixty-five and over has also increased very significantly over this period. The apparent stability of total spending also disguises the fact that a lot of paddling was going on below the surface. 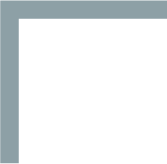 A rough index of the pace of changes to the Social Security Act can be calculated from published compendia of legislative provisions, which unfortunately only go up to 2000. In the first sixty years after Federation, summarised amendments to the Act average just under 1.5 pages per year. The Whitlam government doubled the pace of change, but the Fraser government saw the rate drop back to just under two pages per year. The Hawke and Keating governments multiplied this fifteenfold, and in the first four years of the Howard government the index increased by a further 60 per cent. By then it was taking an average of fifty pages to describe each year’s amendments to the Act. Many of these policy changes came as the result of reviews of the social security system, notably the Henderson poverty inquiry of the 1970s, the social security review chaired by Bettina Cass between 1986 and 1988, the first McClure review in 2000, the Harmer review of the age pension in 2008–09 and the second McClure review in 2015. Government reviews of the tax system in 1985 and 2001, and the 1994 Working Nation report on unemployment also influenced the design of the system in important ways. But many important changes to social security over this period also reflected decisions made in the annual federal budget with the aim of saving money rather than pursuing a longer-term vision for social security. This multitude of changes makes it difficult to discern an overall trajectory of social security policy, which at times has expanded coverage and generosity in one area while cutting back in others. Yet the architecture of the system has been relatively stable, and many of the main programs we know today are essentially the same as they were in 1969 or even in the 1940s, albeit under different names. In his 1997 book, The Institutional Design of the Australian Welfare State, Francis G. Castles observed that “almost nine decades” after the first Commonwealth income-support schemes were introduced in 1909, five features remained fundamental to Australia’s main income-support benefits: they were income-tested, they lasted as long as they were needed, they were paid at a flat rate, they were funded from general revenue, and they replaced only a relatively small proportion of average wages. Two decades on, those basic features remain. Up to a point, at least. Some aspects of the system are significantly different from the social security system of the 1970s and 1980s — particularly family payments, the superannuation guarantee and the recently introduced paid parental leave scheme. But the last two of these provisions do conform to Castles’s characterisation of Australia’s system as a “wage earner’s welfare state,” with the superannuation guarantee being an employment-contingent benefit initially provided through industrial agreements and then effectively mandated as a condition of employment, and paid parental leave partly mimicking an employment-contingent benefit. The area of spending that has changed most significantly over time is assistance for families. The Fraser government “cashed out” income tax rebates for dependent children to create a new family allowances payment in 1976. These and other family payments were soon frozen, at a time when the number of children in families receiving income support was increasing as a result of rising unemployment and greater assistance for lone parents. The Hawke government made more extensive use of social policy to achieve economic policy goals. It reached a series of Prices and Incomes Accords with the trade union movement designed to moderate wage increases and so reduce unemployment. Households were to be compensated for the effects of wage restraint with increases in social spending, a large part of which would come through the tax and social security systems. The Accords were also associated with changes in spending on non-cash benefits, not only in areas like healthcare and education but also in housing and childcare. The union movement labelled these part of the “social wage.” The most important was the reintroduction of the universal health insurance scheme known as Medicare. Coming into operation in February 1984, the scheme was partly financed by a 1 per cent levy on taxable income. Public spending on healthcare increased from 3.8 per cent of GDP in 1983 to 4.3 per cent in 1985. Under the previous system, public support for healthcare costs had essentially been restricted to people on social security benefits or very low earned incomes. Households with higher incomes could afford to take out private health insurance and thus benefit from tax concessions. In a study of the impact of these policies over the period from 1981–82 to 1993–94, economists David Johnson, Ian Manning and Otto Hellwig found that the social wage increased from around 17 per cent to 23 per cent of disposable cash income. Proportionally, the largest increases were in housing, childcare and concessions, which doubled in real terms; as a share of increases in the social wage, higher spending on healthcare was by far the most significant, with spending rising from just over 10 per cent of average household disposable income to 15.6 per cent. The economists also estimated that the redistributive impact of non-cash benefits increased by about a third over this period. The share of social-wage income received by the bottom 60 per cent of households increased by 2.2 percentage points and the share of the richest 40 per cent fell correspondingly. Increases in the social wage were complemented by changes in social security and taxation policy. As a result of increasingly generous payments for children, spending on family payments increased from 1.1 per cent of GDP to 2.2 per cent, the largest increase in benefits of this kind in any OECD country. By 1996, Australia had gone from spending below the OECD average to being the second-highest spender. Spending also became much more targeted. In 1983, at the initiative of the previous Coalition government, extra payments were introduced for working families on very low incomes. Over time, the Labor government significantly expanded these payments, as well as increasing rates and lowering the income-test withdrawal rate. As a result, the proportion of families receiving the payments expanded from around 1 per cent in 1983 to around 14 per cent by 1998. Over the period 1983–96, the real rate of payment per child in these low-income families increased by more than 60 per cent. The payments were set as a proportion of the married rate of pension, effectively the same as linking them to wages. Income-testing also expanded at the other end of the income distribution, with the introduction of means-testing of family allowances in 1987. Overall, the proportion of children covered by family assistance dropped significantly among higher-income families but generosity increased for children in low-income families. It was a powerful instrument of compensation for the adverse labour market trends of the 1970s and 1980s, albeit one restricted to families with children. In a study for the OECD, Michael Förster and Mark Pearson found that between 1984 and 1994 the share of social security payments going to the poorest 30 per cent of the working-age population increased from 58 per cent to 62 per cent. In both years, Australia directed a higher share of social security spending to low-income groups than any other OECD country. The share of taxes paid by the poorest 30 per cent fell by more than any other country, while the share of taxes paid by the richest 30 per cent increased by nearly ten percentage points to around 65 per cent of total direct household taxes, the largest increase in the share of taxes paid by the rich of any OECD country. From the 1990s on, policies to assist families were first strengthened and then restricted. Further increases in payment rates came under the Howard government, particularly for single-earner and lone-parent families with children, up until 2003. Then spending on families started to decline as a proportion of GDP, initially because of the rapid growth in GDP but then, after 2009, as a result of policy changes under the Labor government. 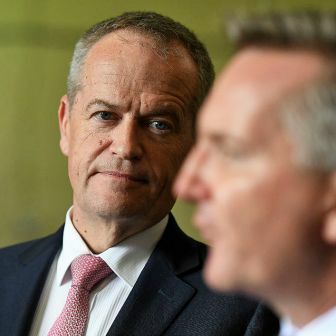 In the process, Labor undid its historical linking of family payments to wages, guaranteeing that future family payments will be less effective in reducing child poverty. The current government has further reduced outlays in this area. Overall, the fall-off in spending between 2003 and 2014 was the most rapid of any OECD country. The fact that Australia went from the most rapid increase in spending on family payments to the most rapid decline can be seen as symbolic of changing perceptions of the role of welfare spending. But there have been exceptions to this general trend. Technically, Australia did not go into recession during the global financial crisis of 2008–09. 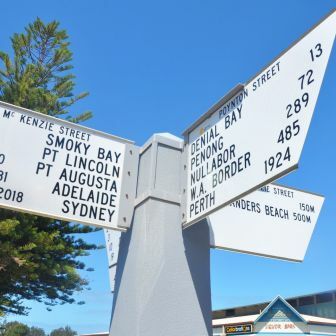 In part, this reflected the fact that Australia put in place one of the largest fiscal stimulus packages in the OECD during 2008–10, equivalent to 4.6 per cent of 2008 GDP, with a very large component delivered through pensions, family payments and tax refunds. Since then, though, the politics of “budget repair” has come to dominate discussions of social policy. The rhetoric of government shifted to references to “lifters” and “leaners” and then to “the taxed and the taxed-not.” In practical terms, the policy change has not been entirely successful; in fact, the best label for the past five years is “attempted austerity,” with the Senate rejecting a wide range of social security changes from the 2013–14 budget onwards, and more than $10 billion of “zombie measures” sitting in the forward estimates for a number of years. 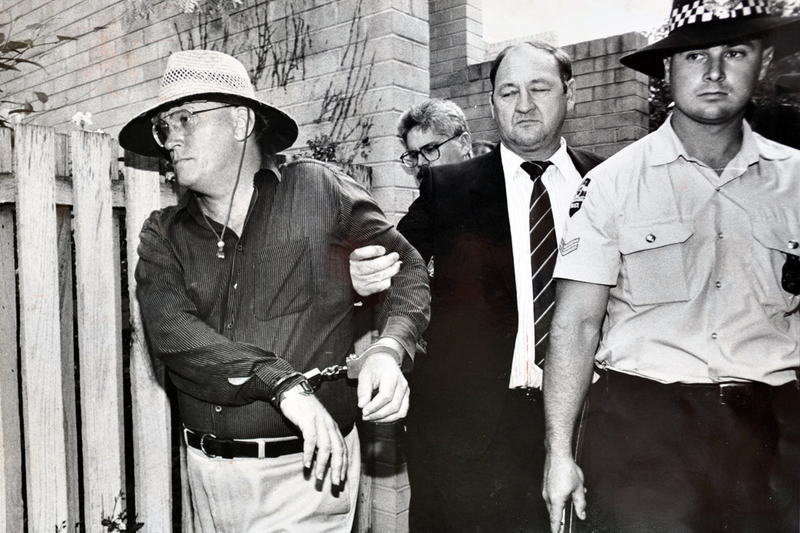 The AFP made a mess of investigating the murder of Colin Winchester and other crimes, so why is it the only Australian police force to have avoided an external inquiry?